Fisheye lenses can be a creative tool for photographers. 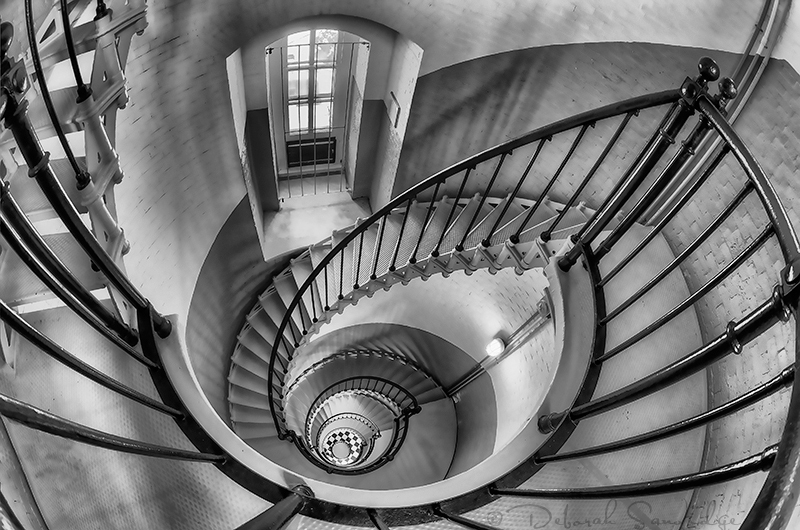 I used a Nikon16mm fisheye lens to photograph the stairway inside a lighthouse. A fisheye lens can alter the the look of a composition, making it a little more dramatic. HDR brought out the detail in the shadow and highlight areas, creating a better balanced image. The finishing touch was to convert the image to black and white using one of my favorite conversion plug-in's, Nik Silver Efex Pro. Great news - the Nikon D7000 was just announced! It was a pleasure and honor to work on the promotional video for the project. It's an absolutely fantastic camera!